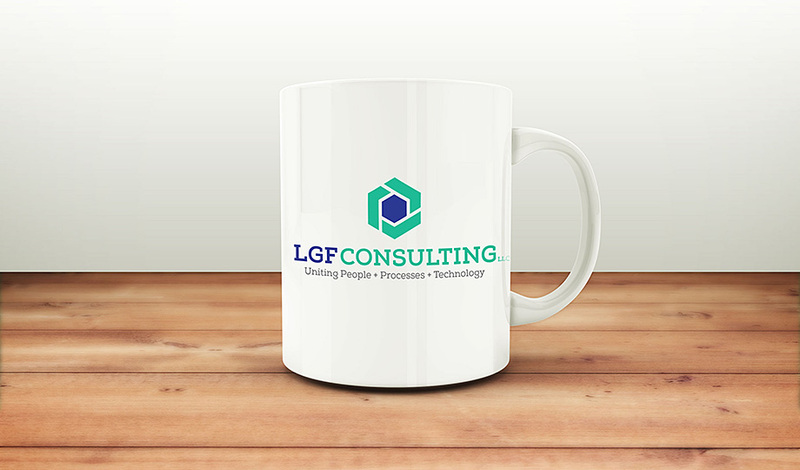 I’m excited to showcase this recent branding project I did for our new client, LGF Consulting, LLC. 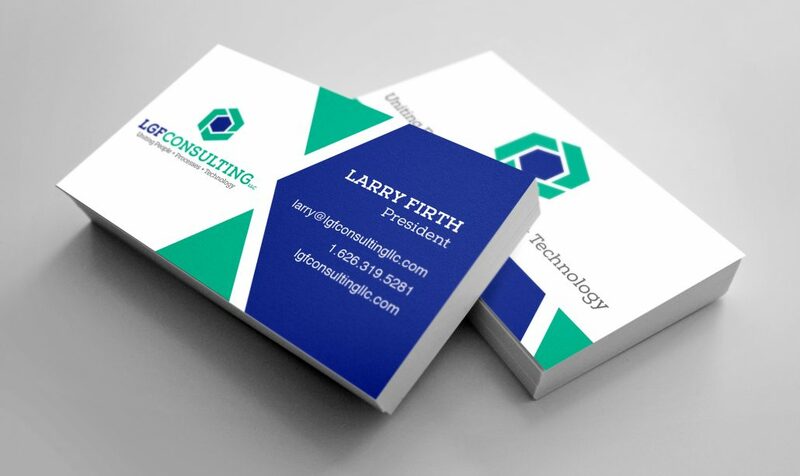 Larry had been following our feed on Instagram and realized he needed a higher caliber brand presence in his industry. In our brand consult, it was clear that he needed a look that not only reflected his personality but also his 30+ years of experience and executive leadership as well as his exceptional ability to formulate and execute strategic business plans to effectively align and manage key resources in support of sales growth and working capital reduction requirements. After reading his bio and noticing he is a certified Sigma Six Green Belt, I started looking at ways to incorporate a hexagon, typically symbolic of communication, interfacing, balance, union and efficiency among others. Since he is located and lives along the central coast of California blue and green where at the top of his list of colors to explore. So here is what I came up with and what the client loves. Something fresh, clean and confident. By breaking up the outer hexagon shape it created these abstract “L’s”, that symbolize boxes/packages and the three elements of his refreshed tagline; Uniting People + Processes + Technology. 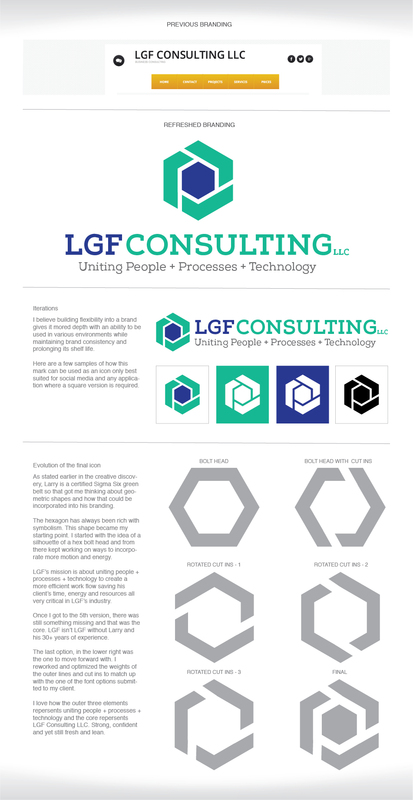 The outer elements also infer movement and connection while the blue core represents LGF, and the 30+ years of experience which is also highlighted in LGF’s typographic mark. I also wanted to update his typography to something current and timeless yet still had ties to classic shipping brands and I think I did just that. If you’re in need of a brand refresh let me know. I’d love to meet you, hear your story and see what your needs are.